Korea-based designer, Unplug Design Studio always think about better days of entire human race. Their design is not only an element but an agent with spiritual meanings that makes their products worthy. The children from Third World countries such as Tanzania, Rwanda, Burundi, Somalia, Congo and etc. can't enjoy football because of poverty, war and natural disaster. 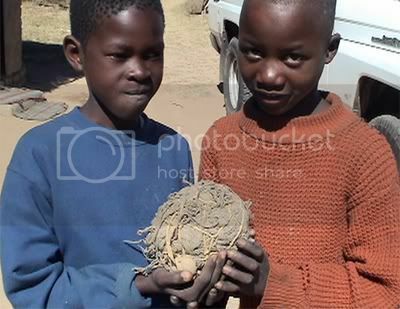 Having footballs give them hope, so they play football with the ball made of plastic bag or a coconut palm leaves. 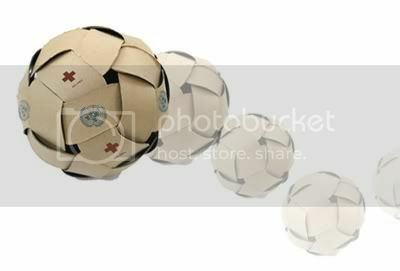 Therefore, Unplug Design Studio suggested the Dream Ball made of recycling relief boxes deliverd to those poor children. 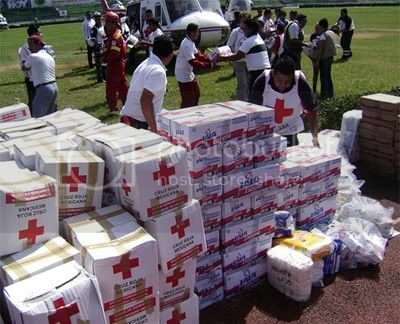 'Relief products of UN and RED CROSS are handed over there. With the products the people can forget hunger and cold instantly, but.. what about the children? A. Creat patterns that can help making a ball on the surface of an aid box. B. Activities of giving aid boxes to children in The Third World. C. The used aid boxes will be recycled as a football by children with the patterns on boxes. 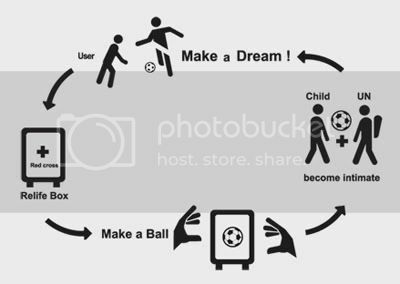 D. By making Dream Ball with the children together, the aid organizations will get the chance to be friendly with them. 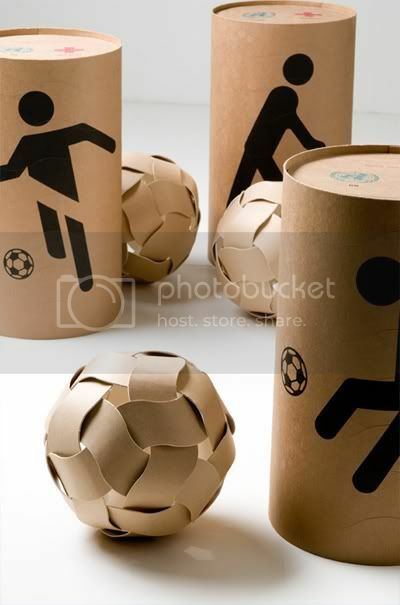 If children take off the paper from an aid box by following the patterns on it, and assemble those parts with the attached instruction, they can get a football. We can apply those patterns on any type of boxes - a square type, a cyliner type. 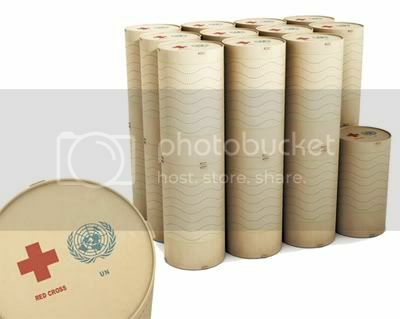 Now, when children get a cyliner type aid box filled with supply, they can move it by rolling that box. In the aspect of material, we considered children playing football with bare foot. 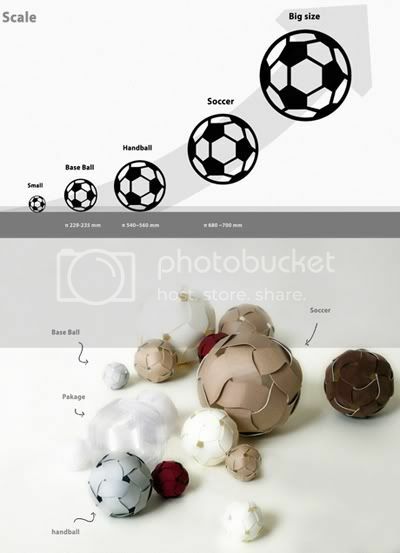 So, we use paper that can be recycled and its thickness changes the intensity and elasticity of the Dream Ball.